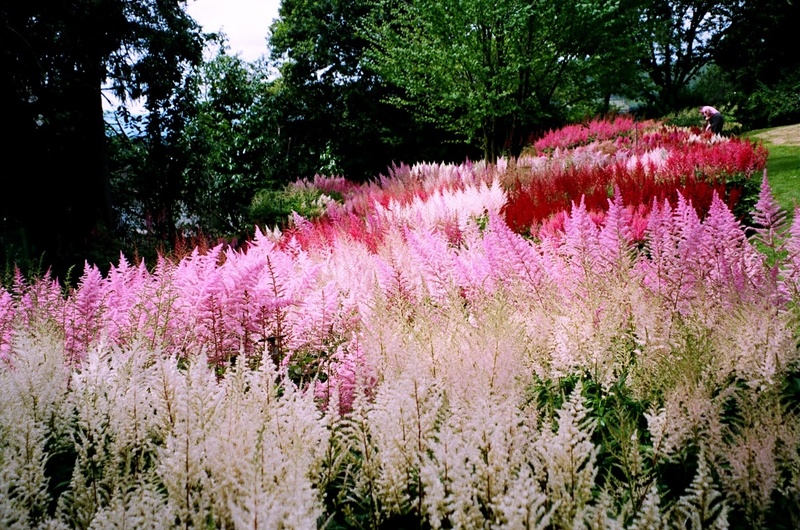 Delicate panicles astilbe create a unique landscape. 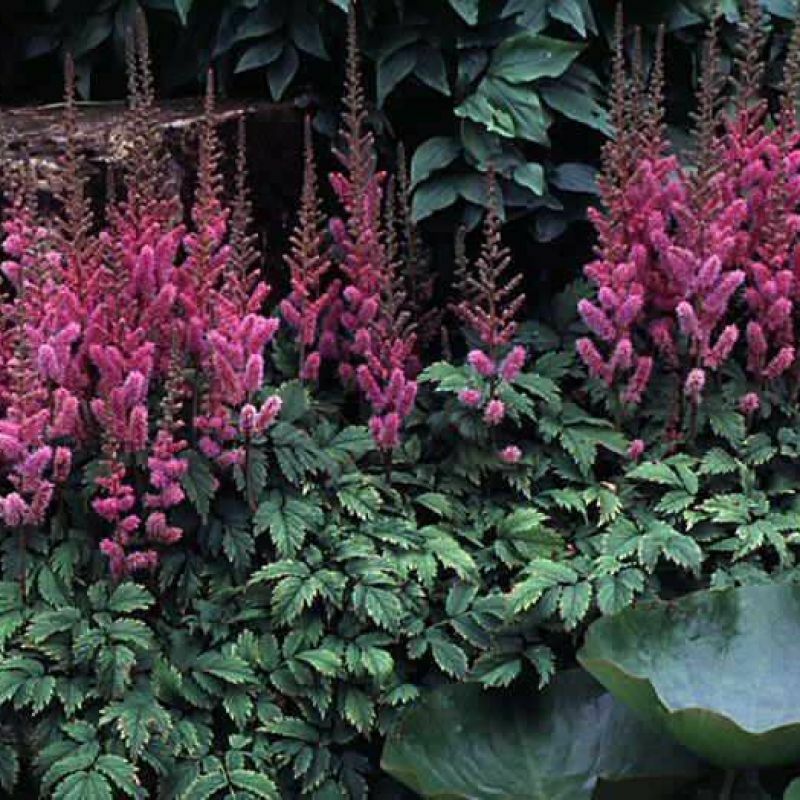 Herbaceous perennial experienced growers is appreciated for its rich flowering and simplicity. The name of the plant comes from the merger of two words, in Greek it means "very shiny". Green bushes look very impressive even after flowering. Astilba – a good choice for those gardeners, who love to make complex floral compositions. 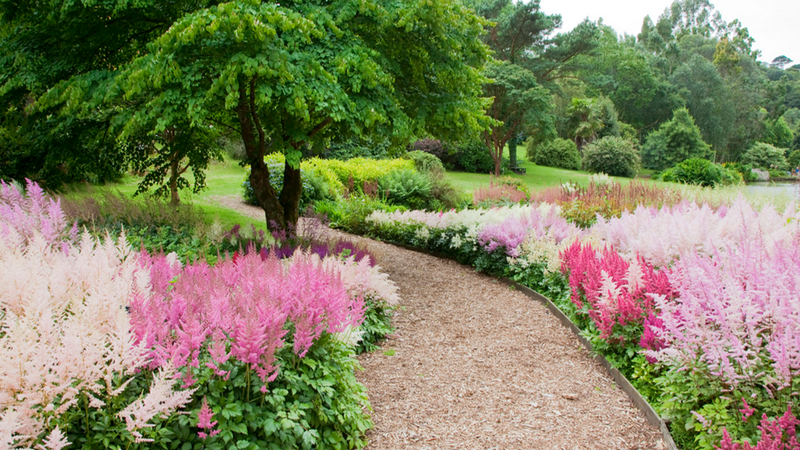 Despite the fact, that perennial unpretentious, separate the subtleties and nuances of care will help to create real masterpieces of landscape design. In the wild astilba grows in deciduous forests of the North American continent. It is also known in East Asia, which is also typical of the humid climate. 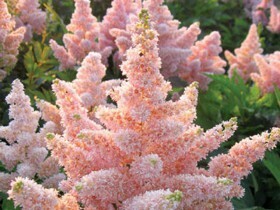 Delicate blossoms purple, lilac, white and pink shade, pyramid, diamond or paniculate forms are located on erect stalks. They are quite thin, their height, depending on the variety, can reach five feet. Flowering time – up to 40 days. Leaves – graceful, Cirrus, long or cut, dark green. After flowering in place of panicles formed boxes with small seeds. 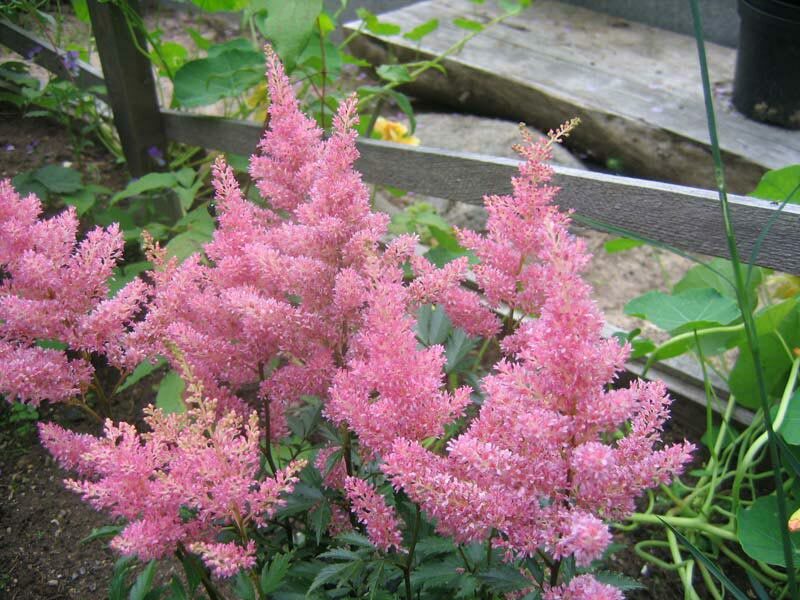 Rhizome astilbe – woody, it formed new buds, in the spring they grow into stems, dying with the beginning of the cold period. Every year the root grows on 5 cm. In the winter, the exposed new roots sprinkled with fertile soil. In landscape design the plant has been used since the early twentieth century. The most courageous design ideas of garden landscape brought to life with a rich color palette of perennial, the variety of its forms, the possibility of a harmonious combination with other plants. 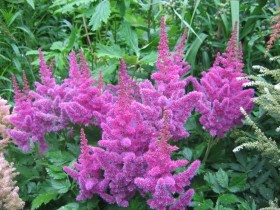 The bushes astilbe appropriate to look at the background of Alpine hills and conifers, on the shores of artificial reservoirs. The scenic area can be supplemented with other unpretentious neighbors daylilies, hakerami, bells, ferns. Different varieties of perennial differ in terms of flowering: early astilba will delight bloomed panicles in early June, medium hybrids grace the garden in mid-summer, late-flowering species grace the landscape of colorful blossoms at the end of the season. 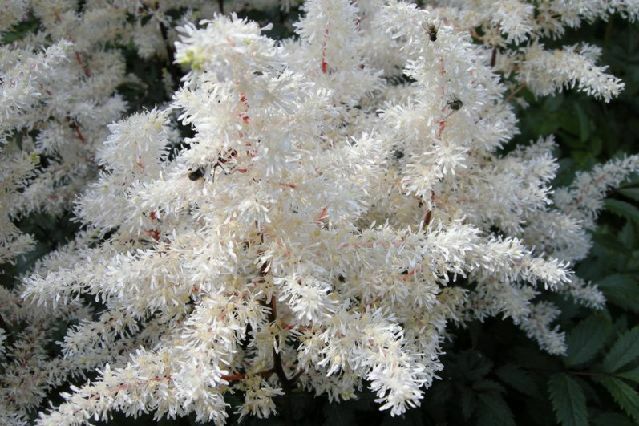 Laciness astilby good balance plants with dense and large leaves – host, Badan, rodgersia, cuff, lilies of the valley, Polygonatum, hellebore. Another important advantage in the breeding – bushes grow well in the shade of the trees. 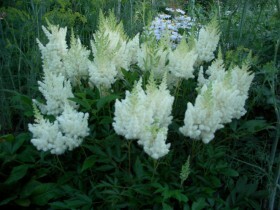 Inflorescence suitable for cut flowers to layout floral arrangements, create bouquets. 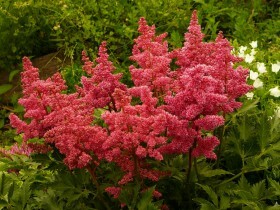 "Midget" is a low perennial with clusters of pinkish-salmon hue. "Praecox Alba" with white lush candles. "Purpures" – with purple flowers, the stems are reddish in color. In one place it can grow up to five years, then it will need to rejuvenate. Methods of reproduction: seed and vegetative, time – early spring, late autumn. 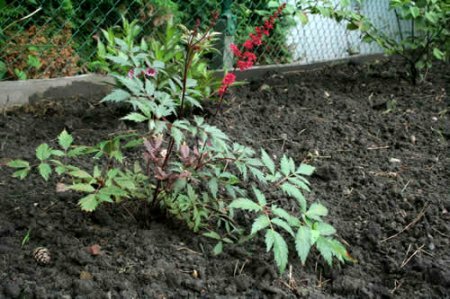 Vegetative method involves dividing the rhizomes into two or three parts, each of them needs to be a stalk with two or three buds. Drop-off time is not strictly regulated, this can be done even during flowering, it is important, in the first days after planting were provided with the right amount of moisture. The root is dug from the earth, well washed in water and cut it into pieces with a spade or secateurs. The landing is made at a distance 30 cm. For next season the plots should go into growth. The seed method is quite time-consuming, but it allows you to feel yourself as a breeder and to breed a new variety. Seeds are harvested in early September, the boxes have to carefully cut. The harvest is laid out on a sheet of paper and dried in the heat for two weeks. The dried panicles shake, peas will remain on the substrate. Pour seeds in a bag and leave till spring. Planting material is in this case sown in February or March, the containers must be filled with mixtures of sand and peat, the ratio: 1:3. Soil moistening, to scatter seeds, to cover with a film or glass. The soil should not dry out, for this purpose you can use the "snow" from your freezer. The first seedlings appear in three to four weeks, by the end of the season will form rosettes of leaves small size. Delicate seedlings are watered carefully, a jet of water to be discharged only at the root. 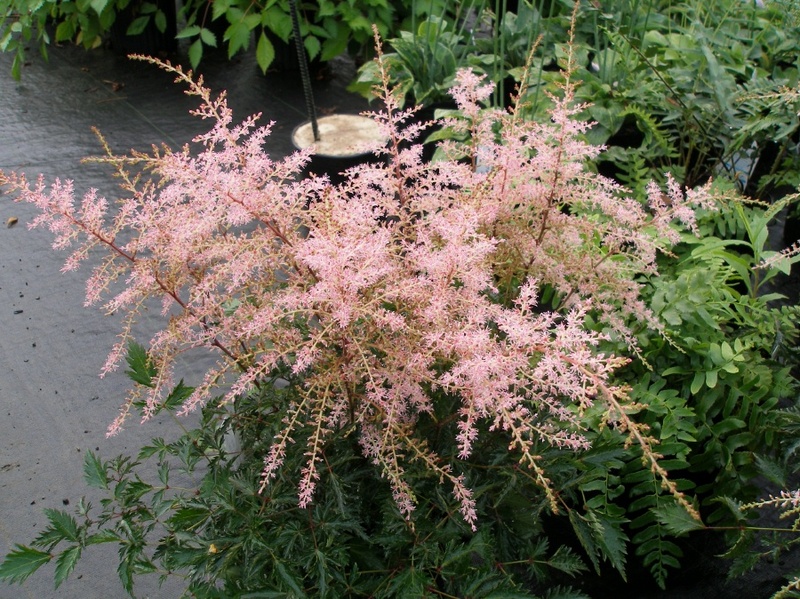 Young bushes in a greenhouse can stand until next spring, flowers-panicles will appear only in the third year after planting. Culture prefers soft and slightly acidic soil, artificially lowering the acidity by introducing dolomite or wood ash. When choosing a place orientirueshsya on the timing of flowering: early and late varieties placed in open areas and in partial shade, srednebelaya varieties are also best planted in shaded corners. Astilba water-loving and can tolerate marshy soil. Before planting, a hole filled with humus half, mixed with soil. Spreading will also be useful, the proportion of two buckets of manure per square meter. To shed ground water, allow it to soak, then plant to plant, sprinkle it with ground, below the level of soil above the residual kidney was more 4 cm. The soil is compacted and watered again. The astilba fed complex fertilizers throughout the growing period. The first time potassium, phosphorus and nitrogen contribute in the spring when digging soil based 30 grams per square meter. The second fertilizing is done in mid-July, you need to make potassium nitrate based 2 tablespoons of fertilizer in a bucket of water, last – after the completion of flowering, at 20 g of superphosphate on the Bush. Timely watering is the key to, the bushes will feel comfortable and thrive throughout the warm period. In hot and dry days, astilba watered twice a day, in the early morning and after sunset. Especially important is the right moisture during the formation of inflorescences. To reduce the loss of moisture will help mulching. For the procedure to use wood chips or tree bark. Mulch prevents overheating in summer and prevents overheating of the roots in the winter. The flower stalks late in the season, better crop. To prevent freezing, the stems are cut to ground level, the exposed roots covered with peat, cover coniferous spruce branches. Planting young plants need weeding, in the future, astilba will deal with uninvited neighbors on their own: strong roots are doing great with this challenge. 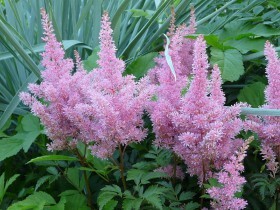 Leaves astilbe may be affected by nematode and slavering pennica, this can weaken the plant and even lead to his death. Nematodes Bush will have to destroy, to not sick the rest of the landing. Pennica can be destroyed by mechanical means, the roots and stems thus are not injured, either apply chemicals: the Akhtar, condifor, karbofos. 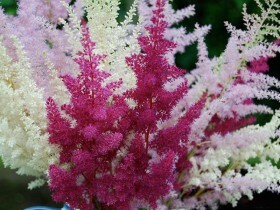 Colorful lace astilbe happy gardeners for the summer season. The Sort Of “Weiss Gloria”. All content on this site SamDizajner.ru written specifically for Simdesigner, copying 1 in 1 strictly prohibited. Reprint, full or partial rewriting of the article “Astilba – plant for a shady garden”, possible, only when you specify the full, active link to the source.